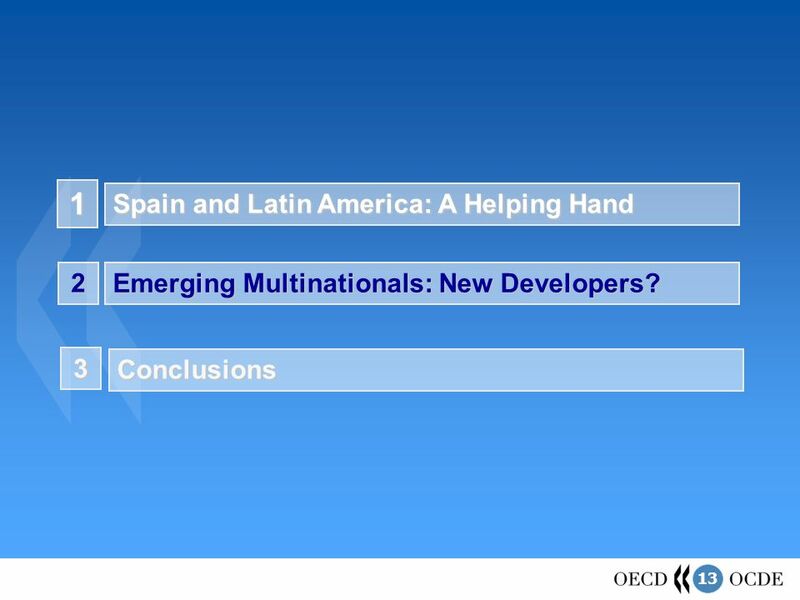 Multinationals and Development in Latin America Javier Santiso Deputy Director and Chief Economist OECD Development Centre Organisation for Economic Cooperation. 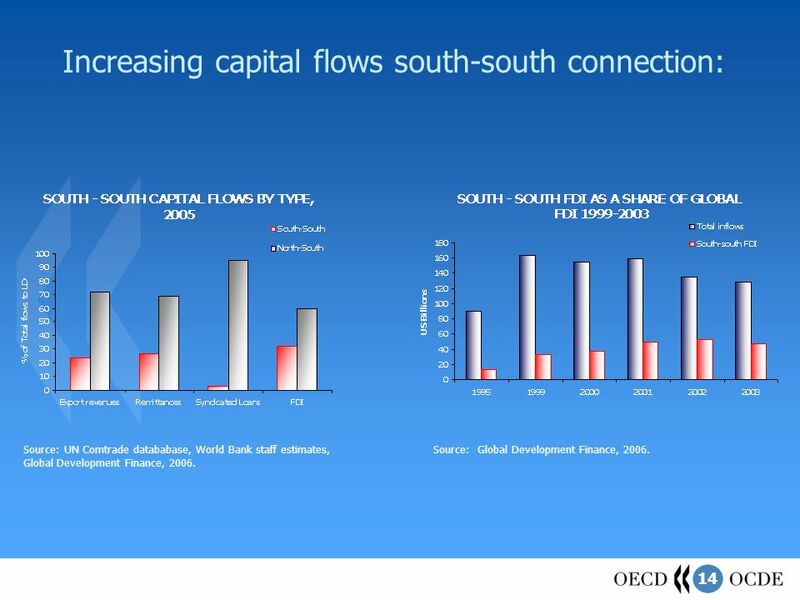 14 14 Increasing capital flows south-south connection: Source: UN Comtrade datababase, World Bank staff estimates, Global Development Finance, 2006. 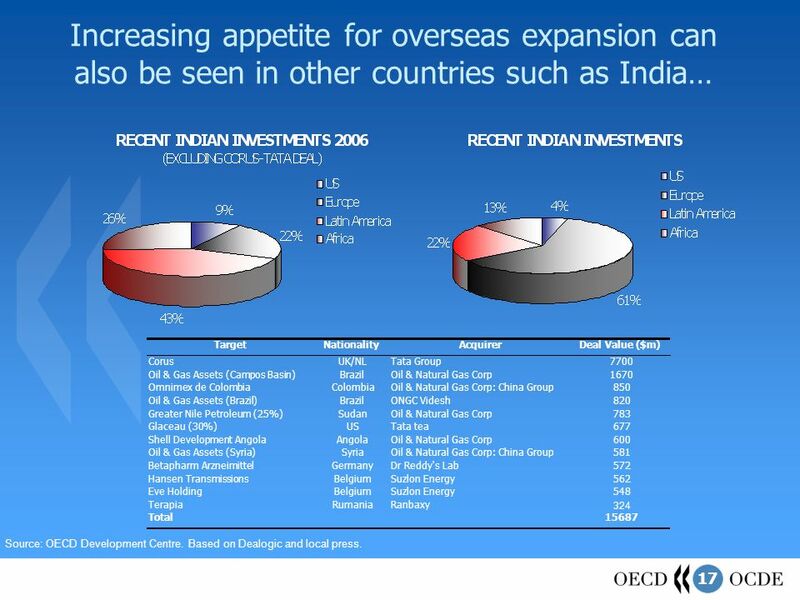 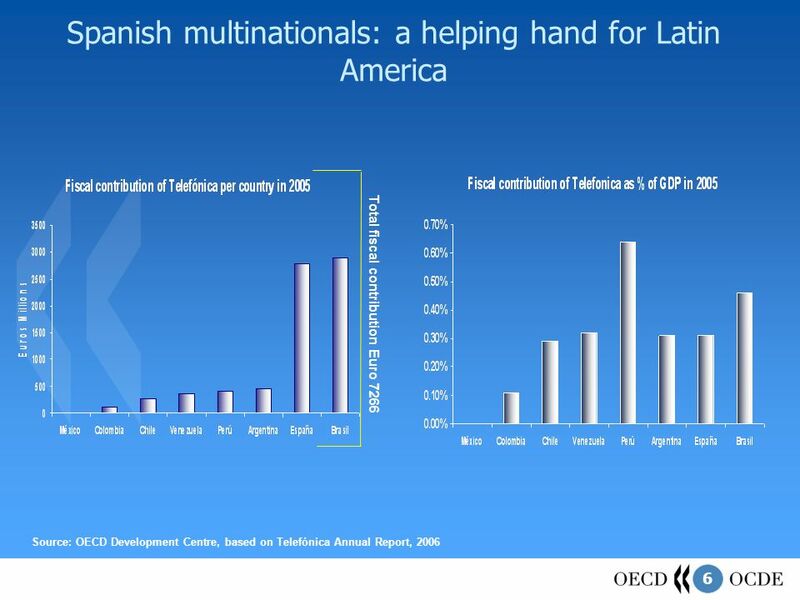 Source: Global Development Finance, 2006. 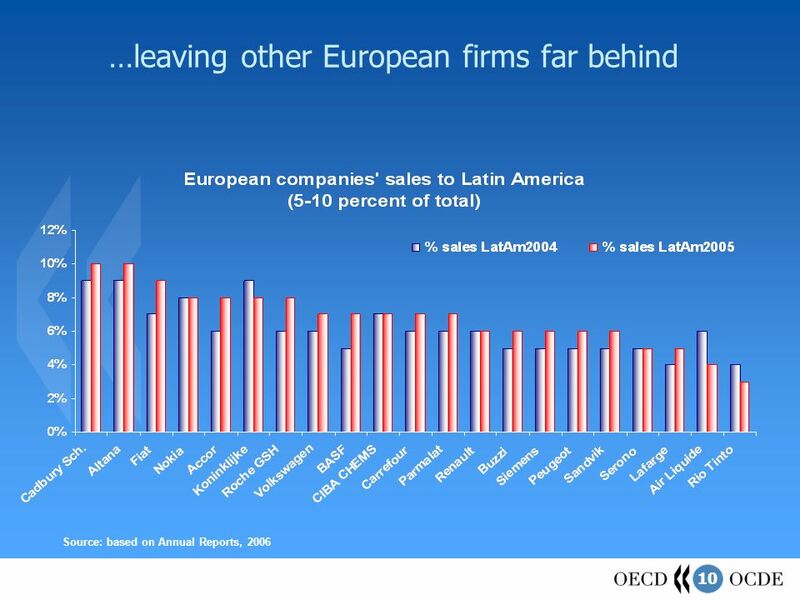 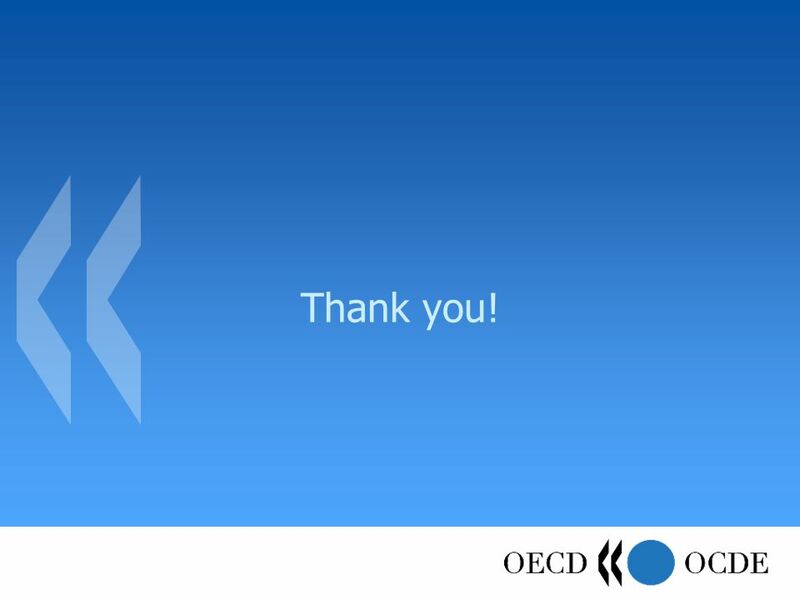 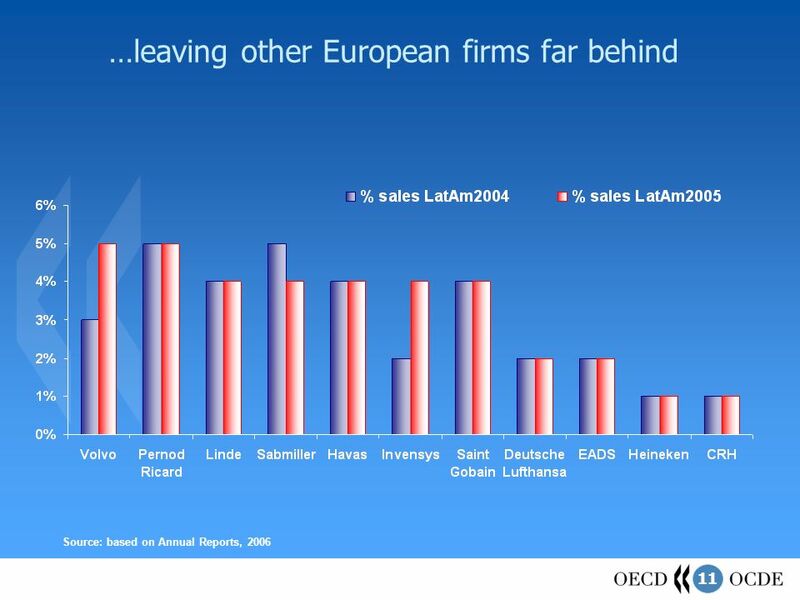 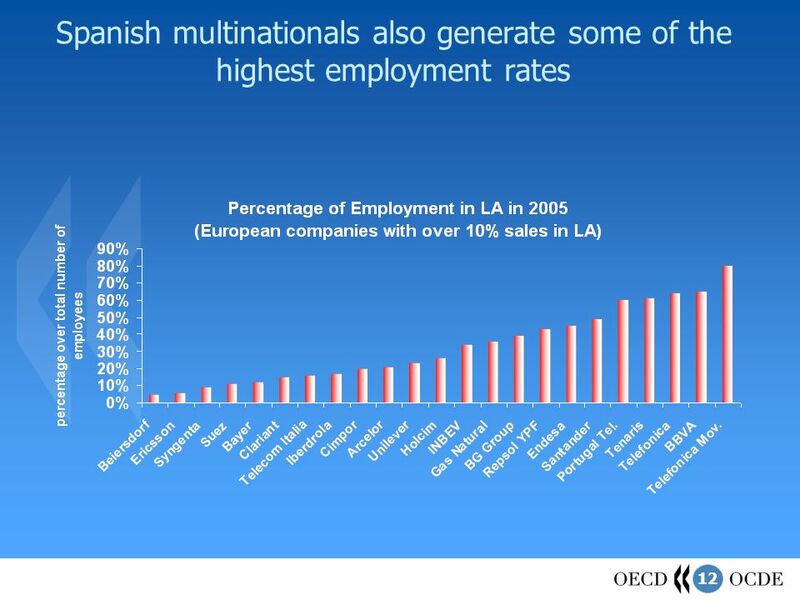 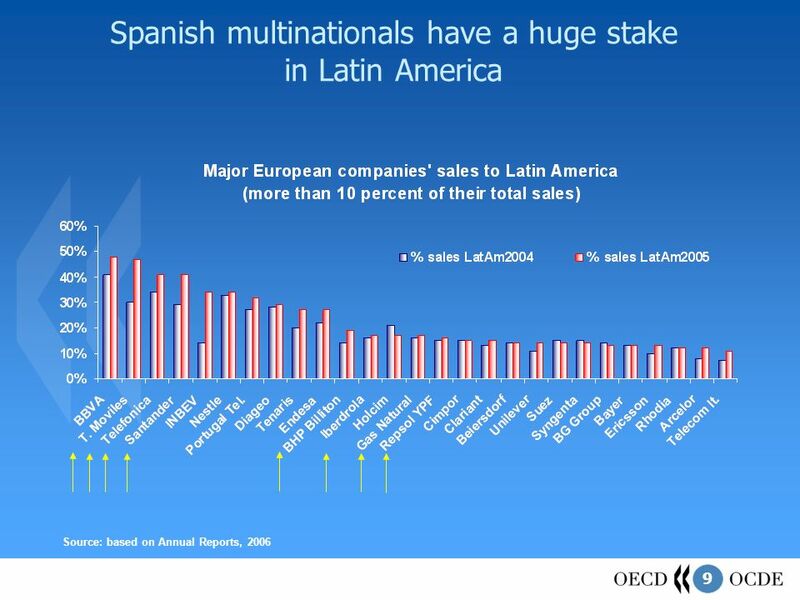 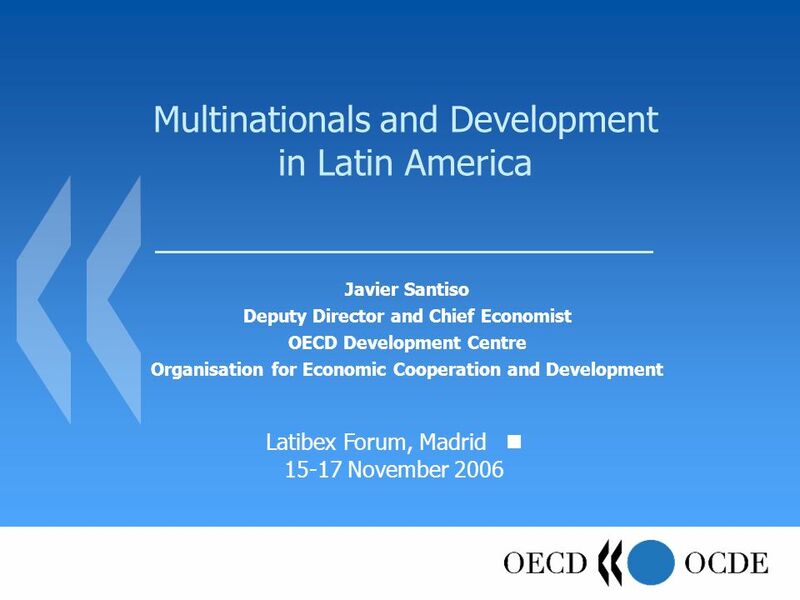 Download ppt "Multinationals and Development in Latin America Javier Santiso Deputy Director and Chief Economist OECD Development Centre Organisation for Economic Cooperation." 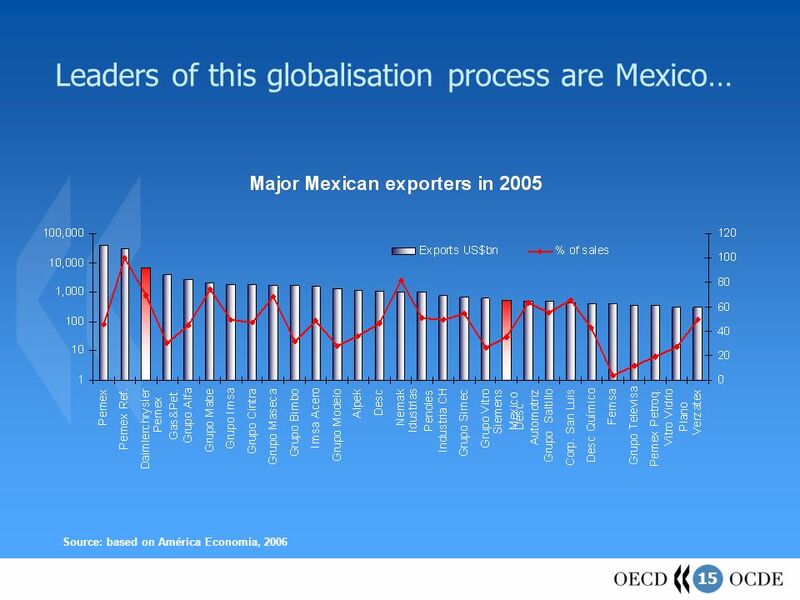 OECD – World Bank Seminar Democratic Governance in Mexico: A Latin American Perspective Paris, 20 th June 2007 Comments by Javier Santiso Chief Economist. 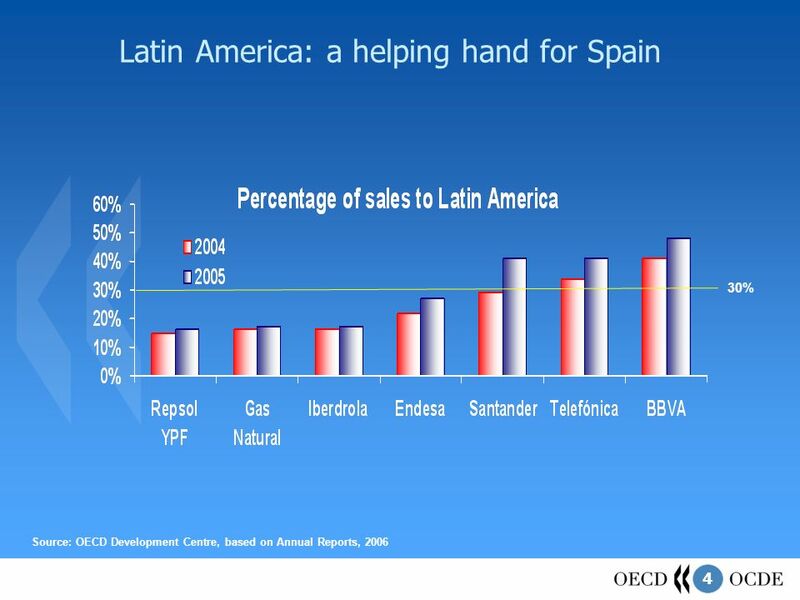 Governing Board Meeting Monday 16 February 2008 OECD Development Centre 16 February 2008. 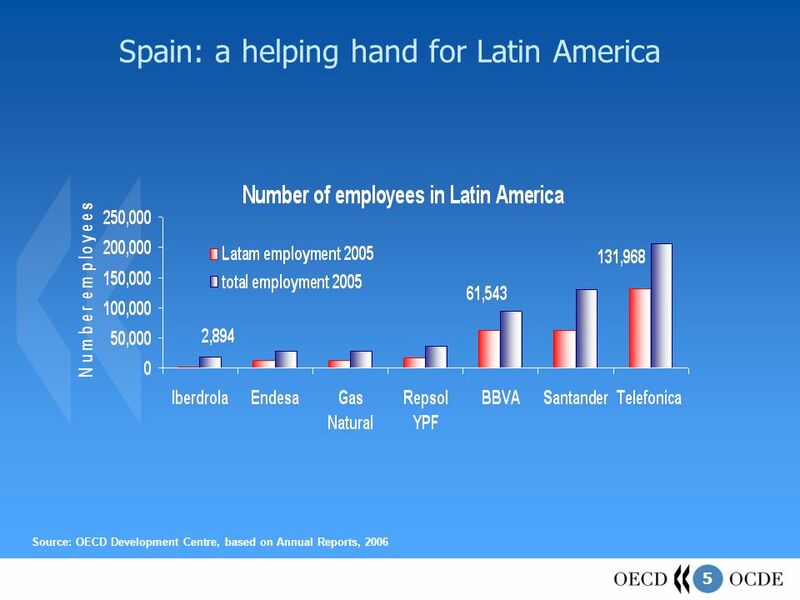 Chile: A Bias for Hope Javier Santiso Chief Economist / Deputy Director OECD Development Centre Latin American Economic Outlook Conference Vittorio Corbo. 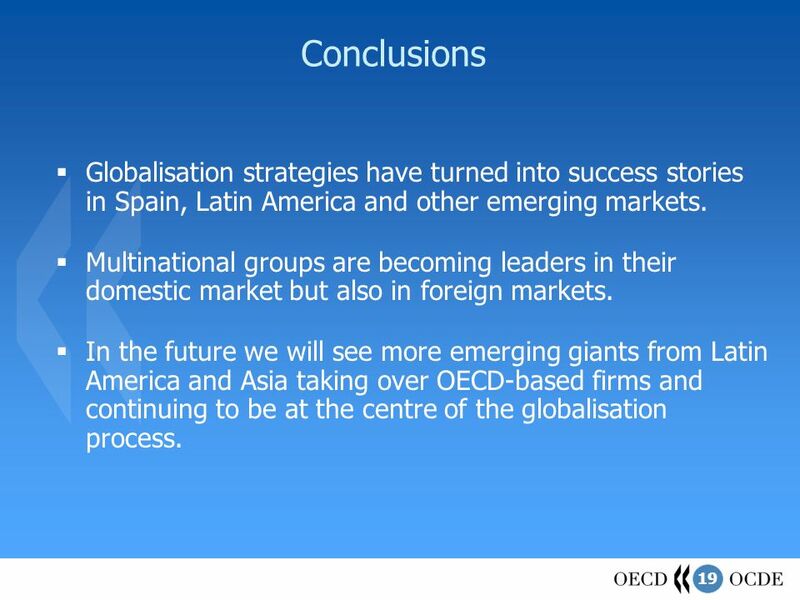 Chile 2007 : A pragmatist approach to global integration Jacques de Larosière Advisor to the Chairman of BNP Paribas and Former Managing Director of the. 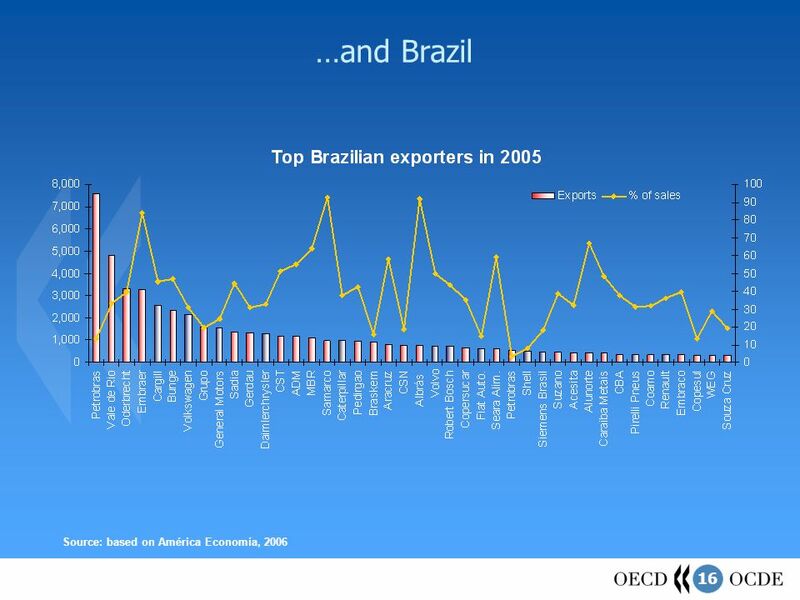 China: An economic panacea for Latin America? 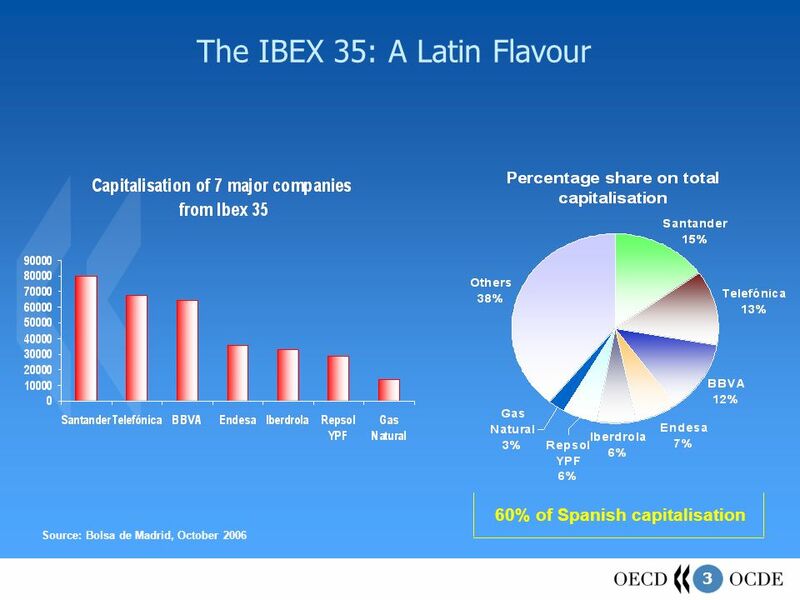 Jorge Blázquez Paris, March 2006. 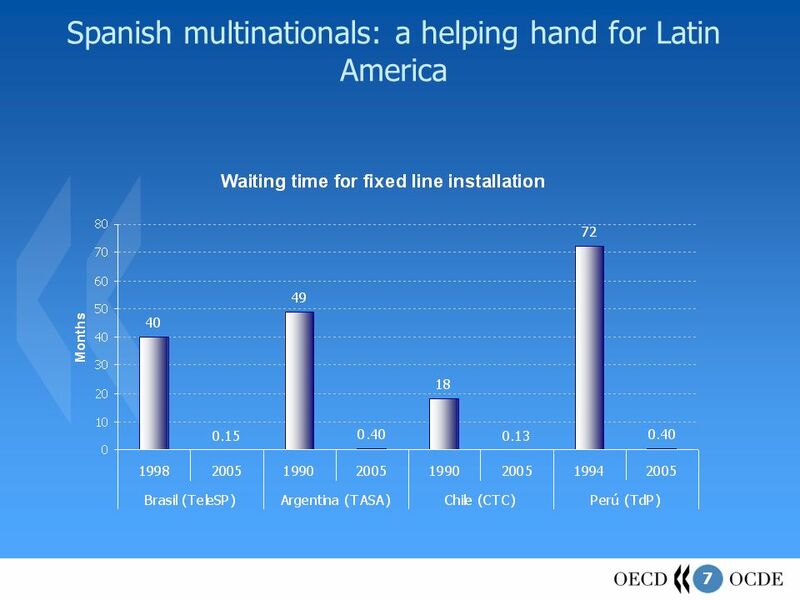 Telecommunications and Development in Latin America: The Role of Multinationals 12th EADI General Conference Geneva, Switzerland 25 June 2008 Juan R. de. 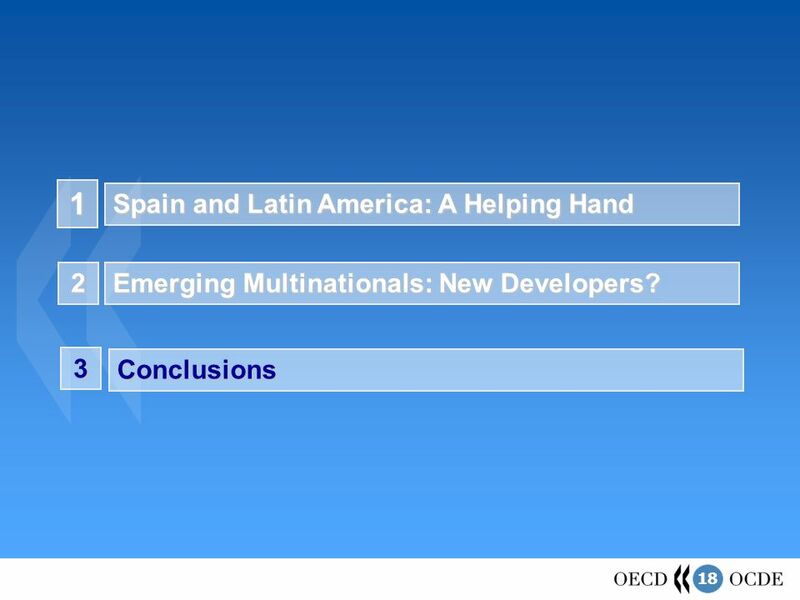 1 Catching up and Falling Down A Latin American Perspective Global Convergence Scenarios Paris January Javier Santiso Chief Development Economist. 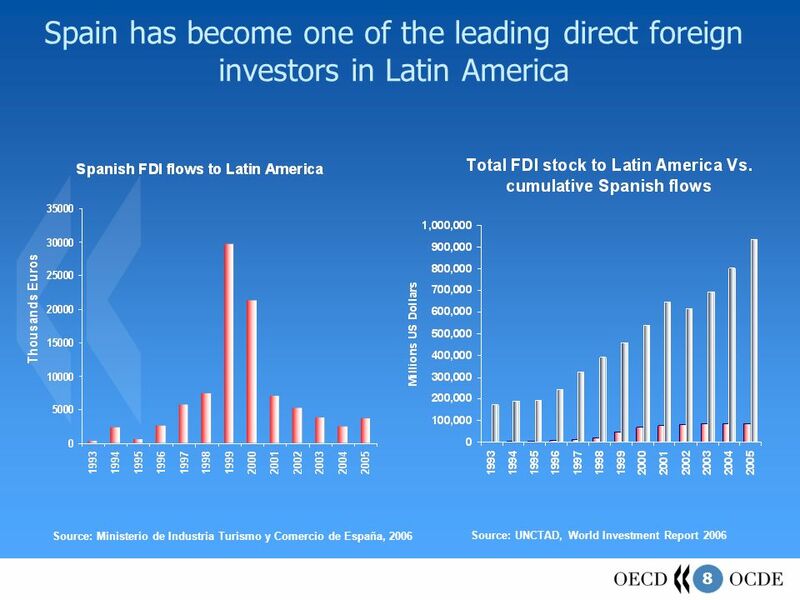 China: Angel or Devil for Latin America? 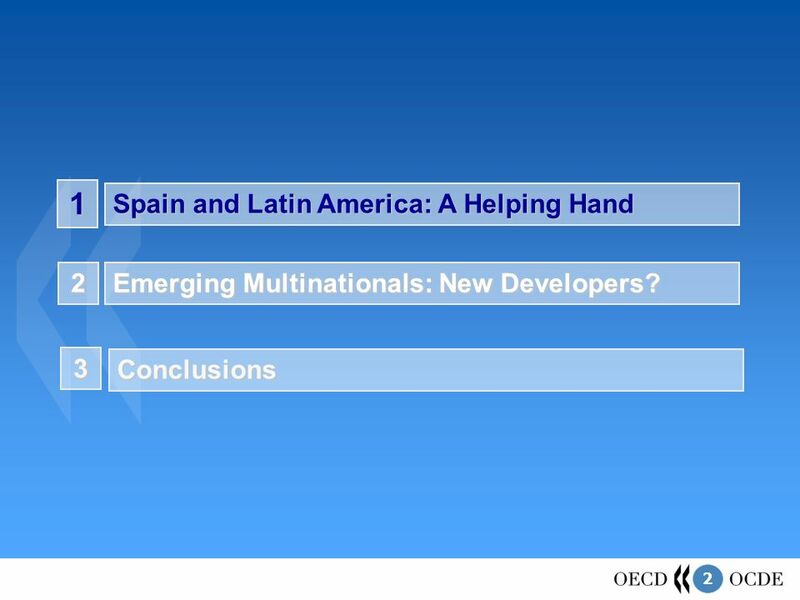 Opportunities, Challenges and Risks Javier Santiso Chief Economist & Deputy Director OECD Development Centre Conference.